Madras Christian College, which is renowned for its 'cafe culture', inaugurated a modern students' centre on Wednesday. While the new structure stands out from the out from the pre-independence architecture that defines the college, students have welcomed this step towards the future. The 14,000-square-foot building houses the cafeteria on the ground floor and the College Union Society room on the first floor. Unlike the old cafeteria, the new one will have two kitchens and also have a food court. "While the old students' centre had its own charm with the roundtables and all, the new one is more spacious and definitely seems more functional," said Sneha Senthil Kumar, a student of the college. Members of the student council have also welcomed the more spacious College Union Society (CUS) room. "Our seniors had problems conducting large meetings in the old CUS room but looks like we won't be having such problems," U Gopalakrishnan, chairman of the College Union Society. Reminiscing about their times at the old students' centre, chairman of the Madras Christian College Board KM Mammen Mappillai said, "The students' centre is as important as classrooms," while addressing the gathering. MM Rajendran, former governor of Odisha, who was the chief guest for the inauguration also highlighted the importance of peer learning. "The students' centre should not be just a place where you eat snacks, you should chat with students from different departments about various topics," he said. 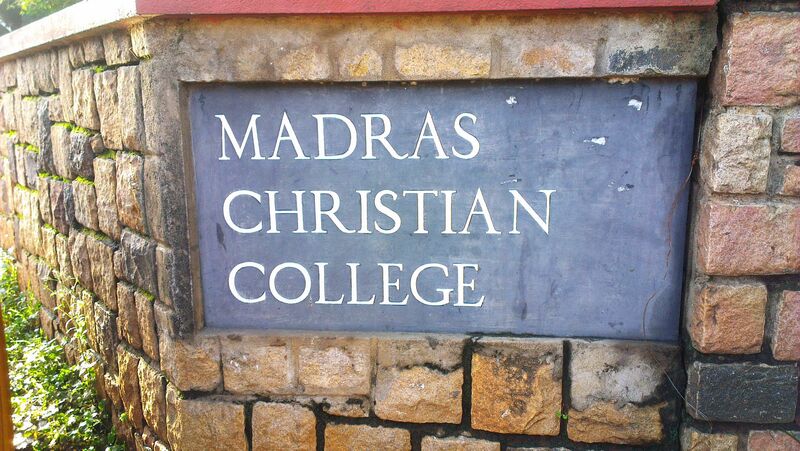 Madras Christian College also opened a Quatroseptcentenniel building in the campus. It was inaugurated by Suresh Krishna, chairman of TVS and Sons. Principal Alexander Jesudasan and Bursar C Sundaraj were also present.